Cinemablographer: TIFF 2014: What Canadian Films Could Play Toronto? TIFF 2014: What Canadian Films Could Play Toronto? Festival season is just around the corner. Speculations have already begun for what might appear where, but we’ll have the first clues when Toronto, the big daddy of the festival circuit, unveils the first act of its programming line-up on July 22. Much of the early prognoses, however, haven’t really paid heed to the Canadian content of this year’s Toronto International Film Festival, which is too bad since Toronto is, well, Canadian. The full Canadian programming announcement doesn’t appear until August 6, but TIFFgoers can expect to see at least a few of the bigger and/or Canuck selections next Monday. North American premieres for Cannes Con like Xavier Dolan’s Mommy and David Cronenberg’s Maps to the Stars seem particularly likely. Mommy seems like the surest contender with its Oscar-friendly release date and Cannes reception. (We'll have more on Mommy in August if/when it appears in the line-up. Ditto Tu dors Nicole, which had a positive reception in the Un Certain Regard programme.) Cronenberg, on the other hand, previously did the Telluride/Toronto thing with A Dangerous Method, so Maps could be downplayed at Toronto since Telluride frequently offers a near cut-and-paste job of Cannes’ official selection. That seems very unlikley, though, since Cronenberg would presumably pick Toronto. Maps distrib eOne also seems less likely to do a Telluride deal, however, than Method’s distributor Sony Pictures Classics, so Toronto will probably repatriate Cronenberg’s premiere status. Julianne Moore in Maps to the Stars. Photo: eOne Films. This year’s Canadian programming, however, looks to feature fewer familiar names and high-profile Canuck directors. Don’t expect to see the third Canuck from the Cannes competition, Atom Egoyan, at the festival. His oft-booed The Captive opens theatrically on the second day of the festival (September 5), which probably means that eOne hopes to dump the film when attention is diverted elsewhere. There is, of course, the possibility that TIFF’s loyalty to Egoyan will earn him a plum slot to redeem himself on the opening day of the festival. Denys Arcand's An Eye for Beauty. Photo: Les Films Seville. Aside from Dolan and Cronenberg, Denys Arcand’s An Eye for Beauty could hypothetically receive its non-Quebec premiere even though it opened quietly to disappointing reviews when it hit Quebec theatres during Cannes. Major Québécois directors Jean-Marc Vallée and Philippe Falardeau will almost undoubtedly be at TIFF with the Reese Witherspoon one-two punch of Wild and The Good Lie, respectively, but their foray into Hollywood means at least two Canadian directors won’t be making a splash with Canadian films. (But we’ll likely cheer them on and take credit for their work, anyways.) Few other high-profile Canadian directors have anything on the horizon or, if they do, their projects are American. This probably means that TIFF 2014 will be a year of discovery on the Canadian front, which is rather exciting. Here are some Canadian films that Cinemablographer.com thinks we could see on the festival circuit this fall. It just wouldn’t be TIFF without a Bruce McDonald movie. McDonald might be the most high-profile Canadian director making a world premiere in the Canadian line-up. Hellions sees McDonald back in Pontypool mode as it offers a horror/thriller about a nightmarish Halloween night where one teen must survive a trio of trick-or-treaters who favour tricks. Robert Patrick stars (probably not as the teenager) alongside a Canuck cast that includes Rachel Wilson, Chloe Rose, and Rossif Sutherland. Considering the chills Pontypool inspires merely from the confines of a radio booth, one hopes that Hellions will offer more of the director’s funky black humour. After bringing the mojo to the festival last year with The Husband, let’s cross our fingers that McDonald brings it back again. Midnight Madness, maybe? Xavier Dolan and Catherine Keener in Elephant Song. This film seems like an obvious choice. Xavier Dolan stars as a patient at a mental hospital who manipulates a prominent, yet troubled psychiatrist played by Bruce Greenwood. Add Catherine Keener and Carrie-Anne Moss in supporting roles, and Elephant Song equals hefty draws for both Can Con and star power. Elephant Song also marks the latest film from director Charles Binamé, who made the acclaimed, popular, and multi-award-winning Maurice Richard biopic The Rocket. Binamé’s credits, which include the 2002 box office hit Séraphin: un home et son péché, don’t feature a TIFF premiere unless one goes all the way back to 1998’s Le coeur au poing, though, but if he aims to make another splash on the Canadian film scene, a TIFF premiere with a cast this notable could do it. Les Films Séville/eOne has Canadian distribution and the film has reportedly been done shooting for a while, so is it waiting to make its debut at Toronto? Ah, here’s one I really hope to see in the line-up. I missed Rafaël Ouellet’s Camion when it played at the festival in 2012, and I’ll make sure not to make the same mistake with Gurvo and Anna. I love Camion’s beautifully sparse, slice-of-life über-Québécois-ness, so I’m very intrigued to see Ouellet’s upcoming ultra-literate Anglophone pic Gurvo and Anna. 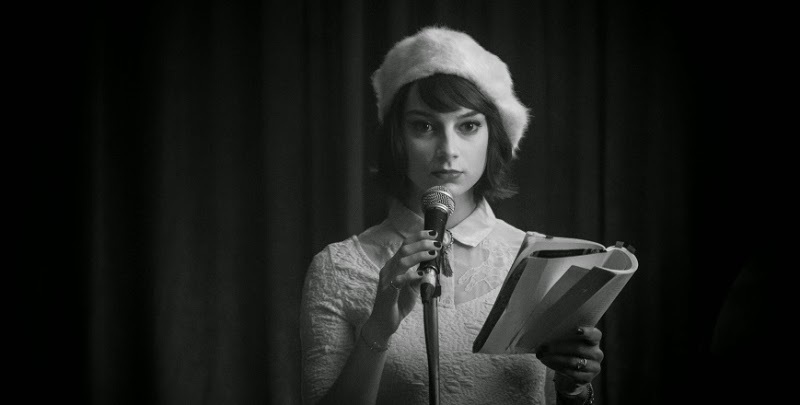 The film, which reportedly wrapped filming in March, stars Sarah Prefers to Run’s Sophie Desmarais as a student caught up in a passionate relationship with her literature professor, who develops a Chekhovian affair inspired by his obsession with the short story “The Lady with the Dog.” Ambitious-sounding literary picks are enough reason to be excited, but fans of Camion will be especially eager to hear that Gurvo and Anna features another score by Mentana, which is reason alone to look forward to Ouellet’s latest given how much the soundtrack is a highlight of Camion. 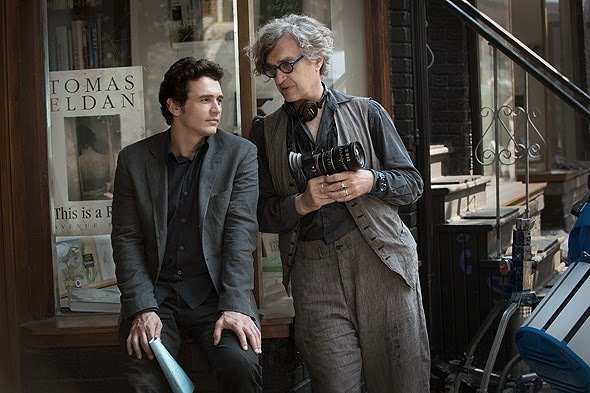 James Franco and Wim Wenders on the set of Everthing Will Be Fine. If Canuxploitation characterizes a past chapter of Canadian cinema, then the wonders of international co-production define Canadian film in the present. Wim Wenders’ upcoming Everything Will Be Fine marks one of several high-profile Canuck co-pros that could tip the numbers for Canadian content at this year’s festival. (Others include Suite Française and Life.) This Montreal-shot film is an endeavor between Canada, Germany, and Norway that stars an impressive range of Canadian and international actors from Rachel McAdams to Marie-Josée Croze to James Franco to Charlotte Gainsbourg. The film covers all the bases for Can Con, world cinema, star status, street cred, and Oscar fodder the festival needs to please everyone, so it would be a surprise not to see it in the programme if it’s ready in time for the festival. Everything Will Be Fine reportedly marks a return to 3D for Wenders after his great 2011 dance doc (and TIFF selection) Pina, so TIFF-goers can expect to enjoy the film in the cushy surroundings of the Lightbox. Corbo appeared in the Canada Cannes market earlier this year, so a TIFF slot is certainly possible. Dramatizations of the actions of the Front de libération du Québec (FLQ) are fairly rare in Canadian film, which is surprising since they present such a dramatic chapter of history. (Although there are Pierre Falardeau’s Octobre and last year’s Le maison du pêcheur.) Corbo zeroes in on events that preceded the October Crisis, namely, the death of 16-year-old idealist Jean Corbo (played by Anthony Therrien) who joined a movement for social revolution but died during an explosion caused by a bomb he planted. Antoine L’Écuyer (It’s Not Me, I Swear!) and Karelle Tremblay (Amsterdam) star as Corbo’s fellow radicals. Violent looks like a likely get for the Discovery programme of the festival, since it marks the feature directorial debut of We Are the City drummer Andrew Huculiak. This Canuck-Norwegian co-pro was shot in Norway using a predominantly Norwegian-speaking cast, which is pretty ambitious for a first time filmmaker. When asked about Norway in an interview with Straight, the director simply admits that Scandinavia is a bit of an obsession. Violent certainly looks dreamy from its promising trailer, and that soundtrack by We Are the City sounds like enough of a draw for fans. It could maybe lead to an obsession, since Violent is also getting some pretty great reviews out of the Karlovy Vary Film Festival where it recently had its world premiere. The Playlist gives it good word, saying, “when Violent hits its drummer’s-rhythm stride it becomes more than the sum of its parts, beautiful as they are: it becomes a sincere expression of a generous curiosity about some of life’s bigger questions…” Violent’s fellow Karlovy Canuck Je suis à toi also earned some good buzz at the festival including a Best Actor prize for Nahuel Pérez Biscayart, so we hope to see that at TIFF as well! Here’s where the Toronto/Telluride thing could get awkward. Guy Maddin, strange as he is, started shooting Seances last June in a project that aimed to deliver 12 short films in 13 days. The films would reportedly then become both an interactive experience and a feature film made in collaboration with the NFB and Phi Films. (The project actually began with a shoot of 18 films at the Centre George Pompidou in Paris back in 2012, but that’s another spell.) Sounds promising, eh? Yes, but Maddin is also serving as the guest programmer for the Telluride Film Festival with his wife Kim Morgan. The bold, if necessary, stipulation that films couldn’t double-dip in Toronto and Telluride waters if they wanted to keep their plum premiere slots during TIFF’s opening weekend could put Maddin in a sticky situation between festival frenemies. The ultra-exclusive Telluride isn’t really the kind of place where people go to see a Maddin movie, though, so the question might all be a moot point. It seems like a film worth discussing in the frenzied line-ups, anyways! Deepak (Vinay Virmani) and Natalie (Adrianne Palicki) in Dr. Cabbie. Canadian production? Check. Toronto-based shoot? Check. September release date? Check. International film production with Bollywood’s Salman Khan? Check. Same day release in Canada and India? Check and check! Dr. Cabbie could follow several commercially oriented Canadian flicks to debut at TIFF with a theatrical release hot on their heels. (See Inescapable and The Art of the Steal for recent examples.) 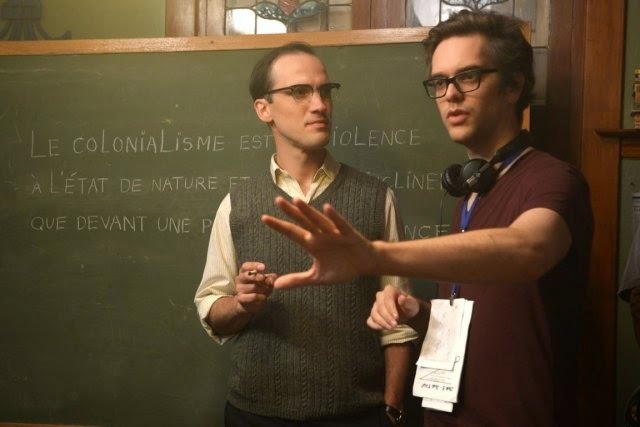 The film also marks a crossover into Anglophone Canadian film for Quebec’s Jean-François Pouliot, whose La grande séduction enjoyed an English remake that nabbed a Gala slot at the fest last year. There are many reasons to suspect Dr. Cabbie will show up at Roy Thomson Hall, or at the very least somewhere in the festival line-up since, in additions to the reasons above, the film is one of several titles for which IMDb already has a curious TIFF release date. Let’s hope that Dr. Cabbie arrives at the red carpet on elephants as Breakaway did in 2011—that was wild! What Canadian films would you add to the list?